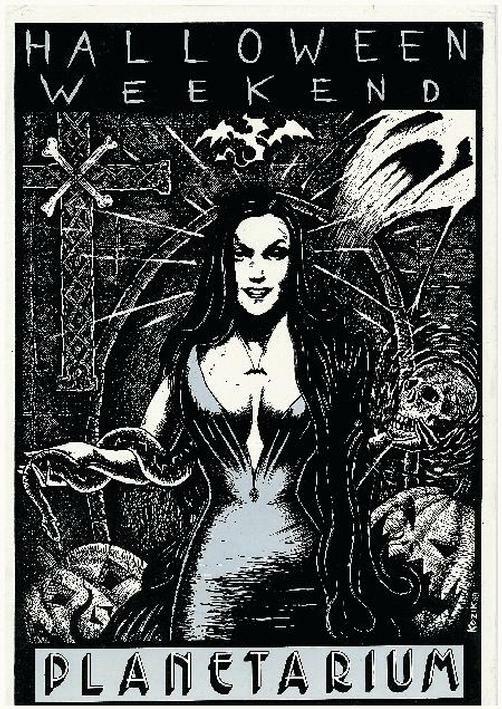 Original club promotional poster for Planetarium in Austin, TX for Halloween Weekend (1989). 11 x 17 inch poster on thin paper. Artwork by Frank Kozik. Light damage: light corner damage on all four sides & top of poster as well as bend marks and small rips.